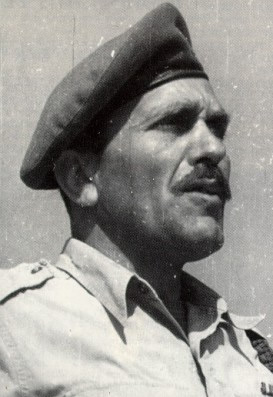 Krav-Maga was created and developed by Imi Sde-or (Lichtenfeld), Israeli Grand-master (1910-1998) who started Krav Maga in the late 1940's whilst serving as Chief Instructor for hand-to-hand combat and combat fitness training for the Israeli Defence Forces. The system has been adopted by the Israeli Defence and Security Forces and has been used in some of the most severe combat settings of this century. The term Krav Maga is generic and covers a multitude of styles and interpretations of the original system. Since its early beginnings the system has been studied, tested, improved and developed extensively not only as the theatre of war has changed but also to reflect trends in violence. The system is designed to be learned quickly by anyone. It was originally designed so that any member of the Israeli armed forces, whether a chef or a Special Forces soldier could be brought up to a similar level in a short period of time. 200,000 everyday people like you and me. We have developed a very comprehensive syllabus, which is available below as PDF documents for you to download and read throught at your leisure, you can also continue reading below to get an good outline of what the classes will entail. Feel free to download and print off each level using the links below. What Will I Learn with Krav Maga? We deal with attacks and scenarios that are statistically commonplace in the urban environment of the United Kingdom, not the war zones of the Middle East. Knife crime is far more prevalent, than for example, firearms attacks. We focus heavily on the common attacks and realistic threats to ours and our loved ones' safety. We teach adaptable tools and fluid concepts, not “one size fits all” techniques for every situation. This way we learn quickly, ensuring our found skills can adapt to unknown situations and scenarios. Faced with a new problem we do not freeze, WE ADAPT. As our training kicks in, we simply follow the concepts we use and deal with the problem in front of us. All concepts and techniques that we teach must work against an opponent who is incompliant. We drill with a high degree of energy, understanding that combat is never a static in any confrontation. Defence against attacks from all angles and whilst in a variety of postures. Unarmed and armed attacks featuring, edged weapons, impact weapons and firearms. Dealing with multiple attackers who may be armed or unarmed. How Will I Learn with Krav Maga? Krav Maga uses a simple approach to learning through practice and repetition. The most effective defence against each kind of assault will become almost second nature and automatic, so that in actual confrontation they will be utilized immediately. Techniques and training methods emphasize the ability to function from a poor state of readiness, and to move from a passive to aggressive state immediately in order to survive. Instructors incorporate realistic re-enactments, teaching students how to operate under stress. Krav Maga teaches hand-to-hand combat. This is a more advanced and sophisticated phase of the training incorporating elements related to the actual performance of the fight including tactics, feints, powerful combinations of different attacks, the psychological dimensions of the fight, and learning how to use the environment to your advantage. Why is Krav Maga different from martial arts? Martial arts are not predominately concerned with self preservation. Often the techniques learnt either take too long to develop or are not practical insofar as they cannot be used in certain circumstances. When learning self-defence, you have to figure-in 'the fog of war': adrenal stress. When you are very scared and full of adrenaline you need techniques that are going to work with as little modification as possible. You will experience the loss of motor skills during an encounter and often techniques will fail if they have been practised inappropriately. The Krav Maga grading system is divided into 10 levels which generally mirror the levels that were originally taught to the instructor by Eyal Yanilov. However, the material now taught is directly applicable to the individual. An example would be wrists grab releases. They may taught in a class but they are not tested on. They are not really applicable to the majority of males and even for females there are quicker and easier responses under stress when diplomacy has failed. Krav Maga should be able to be learned quickly and be effective and should not waste time learning techniques that are not required. Having your wrist grabbed is not a common occurrence so there is not a need to learn and test this via a syllabus. Above and beyond the ten levels that you are learn more advanced principles and material that is relevant to you as an individual is taught. For example, if you are police officer then the tactics taught will look towards more control and restraint and ways to operate where you cannot necessarily employ physical force. If you are a member of the armed forces we can focus on weapon retention and material that suits the battlefield. For a civilian we will look at what areas they are interested in and try and fill any gaps in their knowledge. However, throughout your training you will be given material that is specific to your needs you don't have to wait until you have completed all the levels it simply means once you get to that level the material will be more about you and less of a general approach. A grading is simply a tool that lets you and the instructor know where you are in the system and gives you a goal to work towards. Gradings are held regularly throughout the year and normally you can grade every 2-3 months depending on your commitment. If you are training 3 times per week then you should progress faster than someone training only once a week. The more you practice the better and faster you progress. The more you put in the more you get out. I passed the International Krav Maga Federation’s Krav Maga Civilian instructor course at Graduate Level 2 in January 2006 under Eyal Yanilov. In July of that year I progressed to Graduate Level 3 (again under Eyal) and then in August 2008 I was privileged to be awarded my Graduate Level 4 by Rune Lind and Major Ole Boe in Norway. It was shortly after this that I left the IKMF as I wanted to learn other forms of Krav Maga from other organisations. During my time with the IKMF I trained with some wonderful instructors and made some good friends during several trips to Norway and Holland. Nowadays I simply teach the Krav Maga that I learned via the IKMF.